Is it possible to make a page advance to another page, by pressing a certain key on the keyboard? The resulting project, running on an Acquire Player, will display and react to certain key presses. 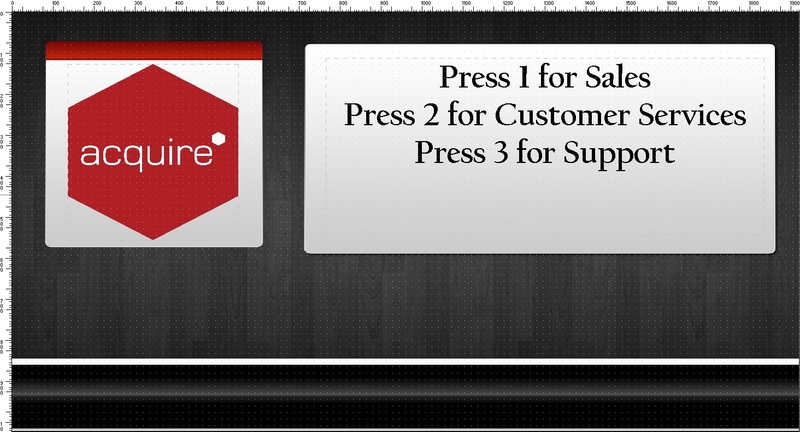 So pressing 1 will jump to a Sales page, 2 for Customer Services and 3 for Support. 1. To set this up, load up the page you wish to edit and select the Page tab in the Toolbox. 2. Click Page Actions... to configure the options. In this example, we have setup 3 different key presses. To add a new action, click New. 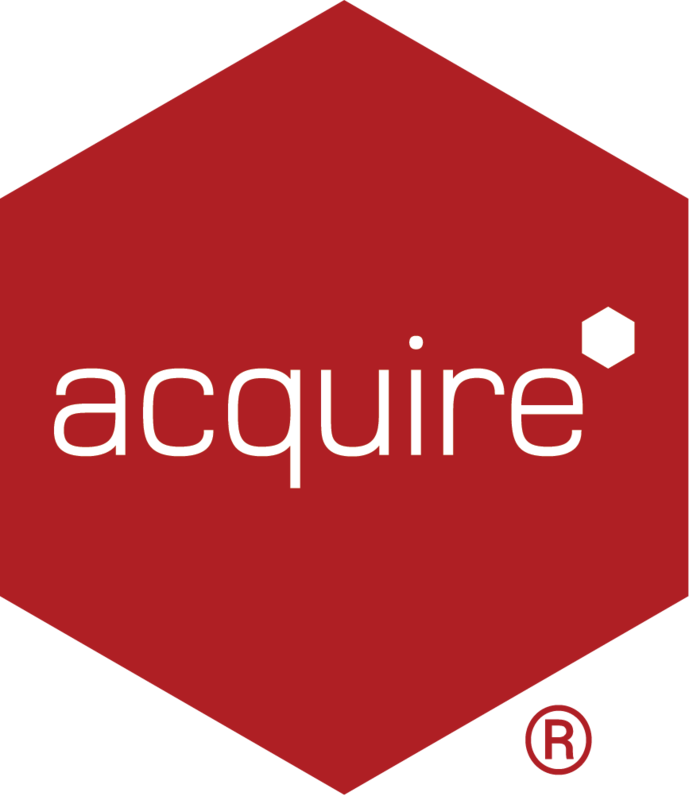 Acquire Editor needs to know what know what the physical 1 key relates to, and so you need to set these values in the form of variables. Please note: to make page jumps work, we also need to set 2 variables for each key press action - $$a and $$b (hence the matching colour border selection). 3. To set the first part of the action change ON: On Key Press, Set: $$a, To: 1 and Key: 1 (this tells Acquire Editor, $$a=1). The second part of the action is to add another new action, click New and this time set the On: On Key Press, Set: $$b, To: $$_jumpif[1,$$a=1] and Key: 1 (this completes the variable action and tells Acquire to jump to Page 1 when Key 1 is pressed. IMPORTANT: the Page ID of the page you are trying to jump to MUST match that set in the variable above. 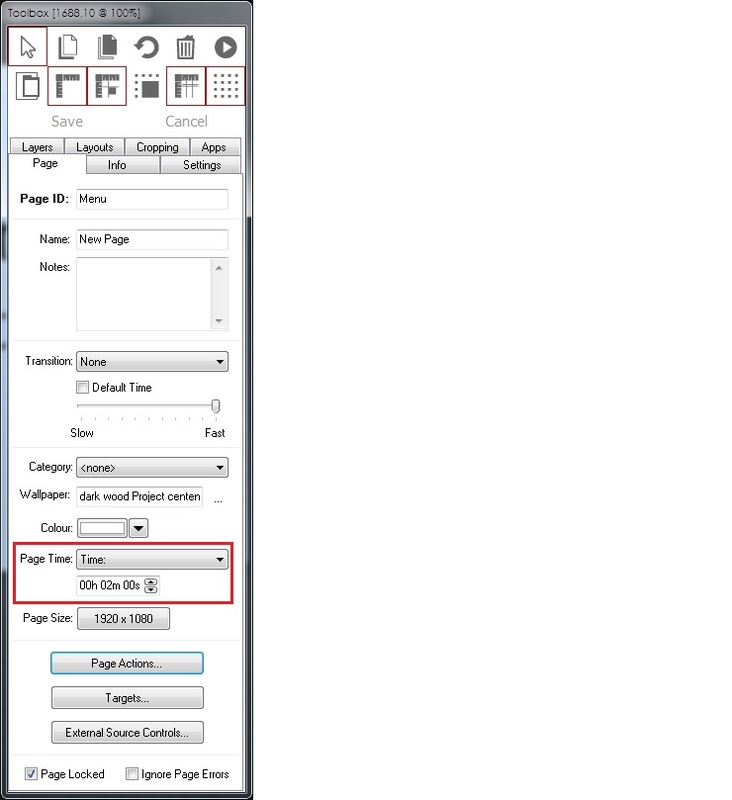 To make this simple, we recommend naming pages 1 for Page 1, 2 for Page 2, 3 for Page 3, etc. in the Page tab of the Toolbox. 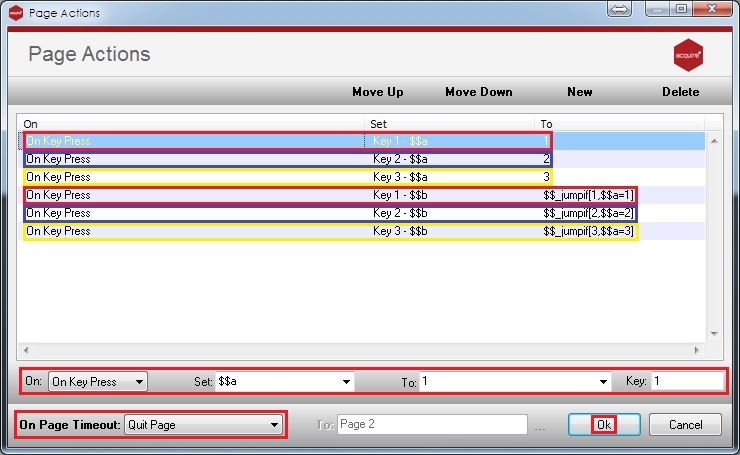 Highlighted in the setting in red, 1 is shown and refers to the Page ID that should be jumped to when the physical 1 key is pressed. 4. Repeat steps for each key action and click OK to ensure changes are saved, denoted here by a blue colour border selection for 2 and yellow colour border selection for 3.